With Christmas right around the corner, some of us may be looking forward to the presents they’ll get this year. But thanks to mBit Casino and Bitcasino, you don’t have to wait for others to get you a treat because you can simply get yourself one by playing your favorite slots. 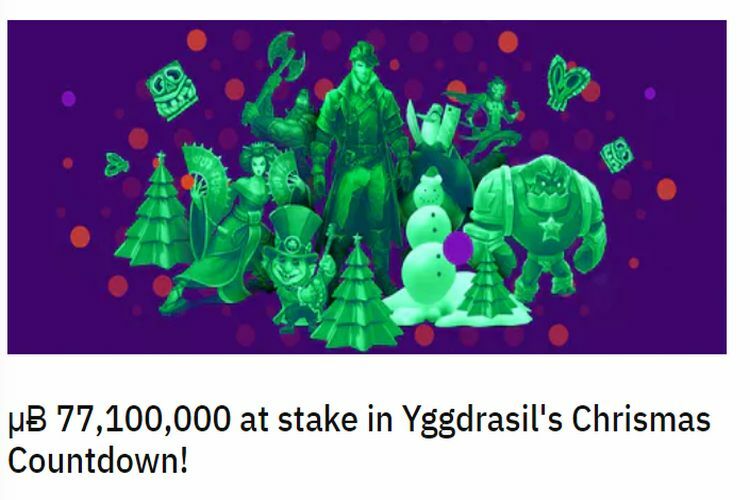 To mark the holiday season, both casinos are running new promotions for their players with BTC prizes up to μɃ 500,000 up for grabs and 50 free spins giveaways! If you’re interested in finding out how you can claim these special holiday treats, just keep reading. To give you one more reason to celebrate this festive season, Bitcasino is running a new promotion called the Christmas Countdown that will be open from December 17th to December 31st. The promotion is organized by software providers Yggdrasil Gaming and it will end up giving away a massive number of 5,000 prizes that are mutually worth μɃ 77,100,000 (€230,000) through 8 different tournaments. The daily prizes range from μɃ 3,300 to μɃ 500,000, depending on your ranking. As an added plus, the luckiest players will also get to enjoy the “double chance prize drop” promo during the tournament and earn extra wins throughout the campaign period. So stop waiting and start your Christmas Countdown right now by visiting Bitcasino! Another reward you can claim during the holidays is a 50 free spins bonus, courtesy of popular Bitcoin Casino mBit. The casino recently launched a new promo offer aimed only at players who want a free shot at banking a big payout on online slot machines. To claim the offer, you just need to either register as a new member or be an existing one without a verified phone number. If you want to grab the bonus, just update your phone number in your player account and the casino will send you an SMS with a unique bonus code. The code can then be entered in your player account to prove your ownership of the number, after which the casino will immediately give you your 50 free spins. The free spins can be used on a number of top slot machines and they will be active for a full week, giving you plenty of time to spend them and win some juicy prizes. To learn more about the offer and other bonuses at the sit , just pay a visit to mBit Casino.